Fellow ice cream lovers, have I got a treat in store freezer for you!! Laura B. Weiss, the famed author of Ice Cream: A Global History has teamed up with 365scoops for a very special interview and GIVEAWAY. That’s right, you read this correctly. Not only do you have the chance to learn fun and interesting ice cream facts from the ice cream guru herself, but you also have a chance to win an autographed copy of Laura’s wonderful book. Laura is an author, journalist and editor whose food, travel and lifestyle stories have appeared in numerous national publications, including The New York Times, FoodNetwork.com, Saveur, Travel + Leisure and more. Formerly a writer and editor for TIME’s school edition, Laura also worked at AOL, where she was responsible for directing and negotiating content partnerships with major news and entertainment brands, such as Teen People, PBS, and Cartoon Network. How did 365scoops get to team up with Laura? Well, when I wrote the delicious post about Ben’s Bars many moons ago, I was gifted Ice Cream: A Global History as a thank you. I’ve cherished the book ever since and recently Laura reached out asking whether we could potentially work together. Folks – dreams really do come true because now me, little old me, is interviewing her royal ice cream highness, Ms. Laura B. Weiss! 365Scoops: What is your favorite ice cream flavor and why? 365Scoops: Which country consumes the most ice cream in the world? Laura B. Weiss: Statistics vary but it’s either the US or Australia. 365Scoops: Who actually invited the ice cream cone? Some say it was the 1904 World’s Fair in St. Louis, and other’s say it was in NYC. What is the truth behind the legend? 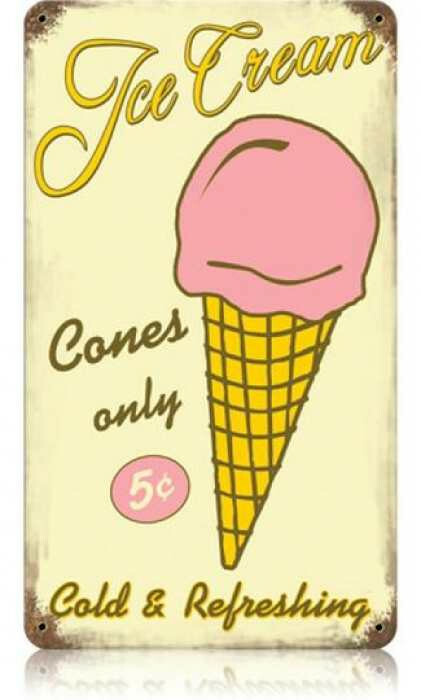 Laura B. Weiss: The mother of the ice cream cone (yes, it was a woman!) was an English cookbook writer named Agnes B. Marshall who in the 1880s created a recipe for a cone that could be filled with water ices or pudding. You ate the dish with a knife and fork! Then we get to the 1904 St. Louis World’s Fair. That’s where waffle vendors and ice cream vendors got together. They must have said something like “See all these hot, hungry people? We’ll sell them an ice cream treat they can walk around with and we’ll make a bundle!” There were four and possibly more vendors who claimed credit for the Fair’s cone. A New Yorker named Antonia Valvona came up with a cup-like cone the year before the Fair. So I guess if you come from St. Louis, you like the World’s Fair creation story. If you’re a New Yorker, you’ll root for Vavona. Laura B. Weiss: Ice cream is pretty universal and vanilla is the most popular flavor around the globe. But each culture adapts ice cream to its own culinary traditions. So, for example, the Japanese like flavors like kurogoma (black sesame seeds) and kinako (powdered, roasted soy beans). 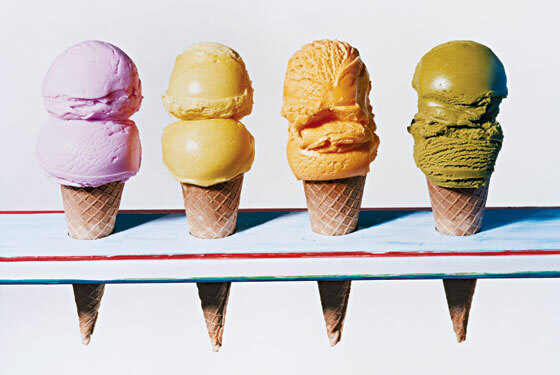 Gelato is an interesting case of how each country’s culinary traditions can change a traditional food. In Italy, a classic gelateria will serve only a handful of flavors like pistachio and chocolate. In the U.S. and in other western cultures, gelato has been transformed into a dessert that defies the traditional dish. I’ve seen chocolate chip gelato and dulce de leche gelato. 365Scoops: What is your favorite, most obscure ice cream fact? Laura B. Weiss: Can I have two? First, Hollywood movie directors filming Westerns would wave ice cream cones in front of mules used as extras to get them to perform in front of the camera. Second, it seems that Ben Cohen one of the founders of Ben & Jerry’s has very little sense of taste and smell. 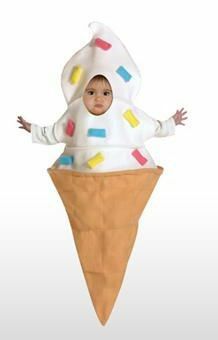 That’s why they incorporated texture in the form of chunks of cake and candy into their ice cream. 365Scoops: Who is responsible for today’s artisanal ice cream trend? Laura B. Weiss: A lot of people would credit Haagen-Dazs and Ben & Jerry’s, but I give the nod to Howard Johnson. He came up with the idea of a multitude of flavors–28 to be exact. He tried to wean Americans from those stuffy old standbys–chocolate, strawberry and vanilla and introduce new flavors like Maple Walnut and Caramel fudge. As if that wasn’t enough, here’s the cherry on top: The first person who poses a unique and interesting ice cream related question on the 365scoops facebook page, tweets @365scoops and @foodandthings will win a signed copy of Laura’s book. Sounds pretty sweet to me! May the biggest ice cream enthusiast win! Luther Vandross and Janet Jackson sang their hearts out in their famous duet, “The best things in life are free” and now you can eat your heart out on some FREE, that’s right, FREE 365scoops ice cream. In celebration of Kosher Like Me’s one year anniversary, 365scoops and its amazing food blogger, photographer and culinary wiz friend, Liz Rueven of Kosher Like Me, are teaming up to give away one free quart of ice cream to a lucky winner. Kosher Like Me is a terrific blog that came to be after it’s kosher-observant author, Liz Rueven, had ordered too many monotonous meals of grilled fish and veggie laden pasta. Determined to find more exhilarating and varied vegetarian dining experiences, Liz is on the lookout for restaurants that adjust their offerings as the seasons change. She is interested in chefs who are flexible enough to accommodate vegetarians (and with a smile, please) and who care about how their food is grown, harvested and handled. Her culinary adventures, restaurant experiences, and delicious recipes and photos are all shared in this blog. 365scoops is thrilled to be joining Liz Rueven and Kosher Like Me for this terrific anniversary celebration and FREE ice cream giveaway. Enter a comment at the end of this Kosher Like Me post and tell Liz what your favorite ice cream flavor is. Be sure to include your email address so that we can contact you! If you are not a subscriber to the Kosher Like Me newsletter yet, you may subscribe (see the box to the right of the post that says “sign me up”?) and garner a third chance at winning. Be sure to return to the comments section here and let Liz know which actions you have taken. Make sure to enter this giveaway by midnight EST on October 21, 2012. The winner will be selected by Random Number Generator and announced on Tuesday, October 23. Prizes must be claimed and you must order your quart of ice-cream by October 31. Claims after that date will not be honored. Amen friends, amen. This recipe for bite-sized mint chip bon bons calls for a fast eater! I fully support savoring delicious foods, eating slowly so as to delight in each bite. That, however, does not work with ice cream! The longer you wait, the faster it melts. Same goes for these bon bons. These morsels of goodness are smothered in chocolate, so if you hold them for more than the time it takes to grab from the freezer and pop in your mouth, you’ll be covered in chocolate. A sure sign that you’re eating too slowly! You may recall the great mint tragedy of 2011. It was epic. The first failure of 365scoops. But hey, it was a learning experience and ever since then, I’ve tried to reclaim my mint ice cream recipes, perfecting them in hopes of an “ah-hah” mint ice cream moment. I think we’re nearly there! These bon bons are an ode to mint chip ice cream, and a fun twist on the classic ice cream. Rather than having to get a bowl and spoon, and go into the freezer and scoop out ice cream, these special treats are already bite-sized. All you have to do is grab one (or two, or three….) and enjoy. They’re so simple that they’re hard to resist. The crunchy outer shell, mixed with the refreshing mint chip ice cream is an absolutely satisfying snack. Plus they’re totally adorable and hard to refuse. In fact, I swear that every time I open the freezer (allegedly to get out frozen spinach, or some ice cubes) I hear “eat me, eat me.” I’ve had my ears checked. There’s nothing wrong with me. I swear these things talk. And you know what? I listen. That’s right, I’m a good listener, and I’d hate to disappoint these cute little guys. And so I indulge them and eat one. I’m a real martyr. Thankyouverymuch. Aaaaaaanyhow….mint chip bon bons. They’re great. Try them yourself. Super easy, super fun, super satisfying. Enjoy! 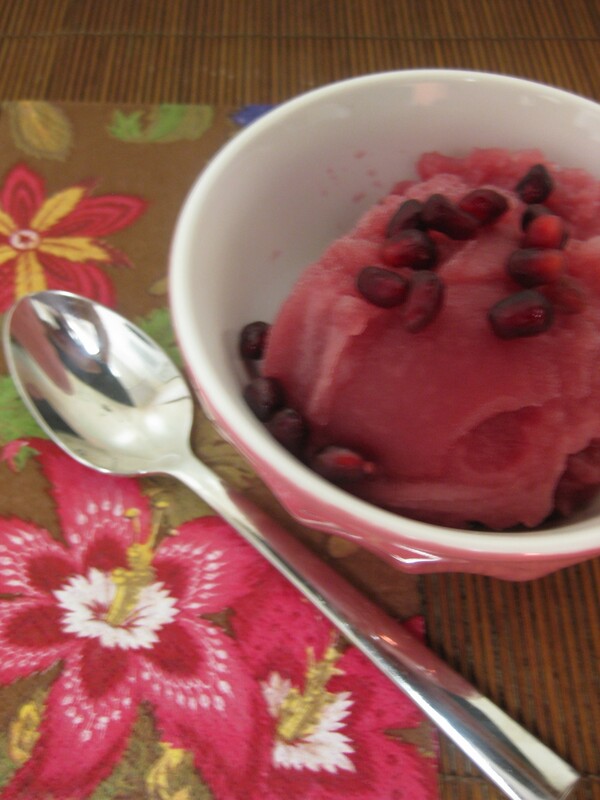 One of the great things about this recipe is that it is egg-free, which in the ice cream world means hassle free. While I generally prefer custards (they’re much creamier and often a more robust flavor) they require an additional step of tempering eggs. It’s certainly worth it, but in a pinch, egg-free ice cream will do. This ice cream recipe contains 4 ingredients and nothing more. No preservatives, no junk, no nothing. Just pure mint-chocolatey goodness. I’ll raise a scoop to that! First, make the chocolate chips by melting 2 oz semi-sweet chocolate (not chips, but the 1oz blocks) in the microwave in 30 second increments. Stir and repeat until the chocolate is fully melted. Spread the chocolate into a very thin layer onto a piece of parchment paper. Transfer to freezer and let harden until you’re ready to break the chocolate into chips. Next, make the ice cream. Pour three cups of half-and-half and sugar into a medium pan and heat until small bubbles form around the edges. Whisk periodically so that the sugar dissolves completely. Remove from heat and stir in the mint extract. If you want a stronger mint taste then add a bit more mint extract, but remember, a little goes a long way, so I would suggest adding in a drop at a time, whisking thoroughly, and then tasting to be sure you haven’t overdone it! Let this mixture cool completely, and transfer to the refrigerator to chill. Once the mixture is fully chilled, transfer to the base of an ice cream maker and churn according to the manufacturer’s instructions (approximately 2o minutes). While the mixture is churning, take the chocolate sheet out of the freezer and using a paring knife, slice the chocolate into very thin slivers to make chocolate chips (if done correctly, the chips will almost look like little slivers of glass). Approximately 5 minutes before the mixture is done churning slowly pour in the chocolate chips. Once done churning, transfer to a freezer safe container and let harden overnight. When you’re ready to coat the bon bons, melt the 6 oz of chocolate in the microwave in 30 second intervals. Stir, and repeat until the chocolate is completely melted. Remove the ice cream from the freezer, pick up each ice cream ball by the toothpick and dip very quickly into the warm chocolate. Flip over and repeat on the other side. Remove the toothpick and immediately transfer to the freezer. Repeat until you’ve done this with all 12 bon bons. This is an extremely messy process and not an exact science. The bon bons will not be the most beautiful shape, that’s OK. I promise, they taste delicious. Let harden in the freezer for 15-30 minutes before enjoying. Serve with a fresh sprig of mint and voila, you have your very own mint chip bon bons! The Verdict: Delicious! The chocolate shell is quite thick, so if you don’t want so much chocolate coating, feel free to only dip one side, or to drizzle the chocolate on top instead of fully immersing the ice cream balls into the chocolate. No matter how you shake it, the combination of mint and chocolate is truly irresistible and very refreshing! These are a perfect dessert for any meal! Yes, this happened. And yes, this flavor was delicious. Here’s how it all came to be. One of my BFFs, let’s call her “Key West Friend” was in town visiting for her birthday. Naturally, I offered to make her a special birthday concoction. Her only request was coffee. My only thought was that heath bar and Oreo needed to be included. The rest is history. Whenever The Hubby and I go out to ice cream (which, I must admit, happens rather regularly) I always gravitate towards something with coffee, Oreo and Heath bar. It never fails. So, it made logical sense that this creation would take the same shape. The only problem with going out to ice cream with me, is that I’m a horrible critic. I taste about 10 flavors before placing my order, and with each bite, debate the consistency, creaminess, freshness and flavor. I am so annoying. It’s really unpleasant, and I’m sorry. But, every time I go for ice cream, I consider it reconnaissance, and if I don’t know what my competitors are doing, how can we possibly keep improving our product at 365scoops? I rest my case. Oreos for the crust; heath bar for the mixins. Yes, I ate some of this while preparing the ice cream. I couldn’t resist! Anyhow, back to the birthday ice cream. I wanted to make an extra special birthday concoction, but felt that transporting an ice cream pie to work and then to visit my friend was totally untenable. Solution? Mini coffee heath bar ice cream pies. We all know that miniatures are so much cuter anyhow, and this way people can eat their own serving, without really feeling too guilty about it. So, I made the ice cream, and individual oreo cookie pie shells and voila, there you have it! A special birthday treat for a very special friend. Whisking in the instant coffee to the milk mixture. I sure could go for a glass of iced coffee right about now…. The oreo pie shell right before baking. Totally delicious. First, make the ice cream. Heat 2 cups of half-and-half in a medium sauce pan until small bubbles form around the edges. Stir in the instant coffee and whisk until blended. Remove from the heat and set aside. Meanwhile, whisk together the three egg yolks, slowly pouring in the sugar until the mixture is creamy, thick, and pale yellow. Whisking the egg yolks and sugar right before tempering. Temper the eggs by slowly pouring the hot milk mixture into the egg yolks, stirring until the two mixtures are well combined. Pour back into the sauce pan and heat until the temperature reaches 165/170 degrees, or until the mixture is thick enough to coat the back of a wooden spoon. Remove from the heat and pour in the third cup of half-and-half. Let cool completely and then refrigerate for at least 2 hours or overnight. While the mixture is cooling, make the Oreo Cookie Mini pie shells. Preheat the oven to 350°F and coat 8-10 cupcake molds with spray or butter . Place Oreos in a large plastic zip top bag and smash them either by hand, or using a rolling pin. You can also process in the food processor (which I did) and this will give you a more consistent crumb. Melt the butter in the microwave. Empty crumbs into a mixing bowl and stir in melted butter until well combined. Pat wet crumbs all over and up sides of pie dish, making an even surface. Bake crust for 8-10 minutes or until hardened. Cool completely before filling with ice cream. Once fully chilled, pour into the base of an ice cream maker and churn according to the manufacturer’s instructions (approximately 20 minutes). While the mixture is churning chop up 3 Heath Bars into various sized pieces and approximately five minutes before the mixture is done churning, pour the Heath Bar into the ice cream maker. Once finished, remove from the machine and transfer to a freezer safe container for at least 2 hours before enjoying. You can eat this straight from the machine, but it will be more like a soft serve, rather than “scoopable” ice cream. The Great Assembly: Place one mini Oreo Cookie pie shell on a plate. Fill with 1-2 heaping scoops of ice cream. Sprinkle with a few chunks of Heath Bar for good measure and enjoy. I NEED one of these, stat. So extremely delicious. The Verdict: I’m not going to lie, these were insanely good. The birthday girl and her gal pals agreed. Perhaps the best compliment I got was from the birthday girl’s hubby who said ” This might sound sort of backwards, but I personally hate coffee, and this tastes just like coffee, which means it’s spot on the flavor, so I can actually appreciate how delicious it would be if I liked coffee.” For a second I sat there totally confused, until I realized that what he was saying is for a coffee lover, this stuff is damn good. And I agree. Plus eating ice cream out of an individual oreo cookie pie shell makes it even more outstanding! Enjoy. Friends, Romans, countrymen, lend me your ears…365scoops is live on-air for The Kosher Scene in a first-ever, exclusive interview! Are you wondering how 365scoops got started? Are you craving some delicious new flavors? Hoping for a special discount on your next order? Then tune in here at 8pm on Wednesday, July 18th for a unique foray into the life and times of 365scoops! To read a bit about the interview before it’s live, here’s a great tidbit on KosherScene about yours truly and 365scoops! An enormous thank you to CS, the main writer, interviewer and food reviewer extraordinaire behind The Kosher Scene. If you ever need a kosher restaurant recommendation in the five boroughs of NY (or in Argentina and Israel for that matter) he’s your go-to-guy. Read this blog and salivate over the amazing foods. Then listen to my interview and order yourself some ice cream (it will make you feel better, ice cream always does!) It’s just that simple!